Courtesy Canada Post ON THE JOB: New Canada Post stamp shows Albert Jackson delivering mail on his Harbord Village route. It’s a good bet when Albert Jackson was delivering mail in Harbord Village in the late 1800s, his customers never expected envelopes would one day be stamped with his likeness. 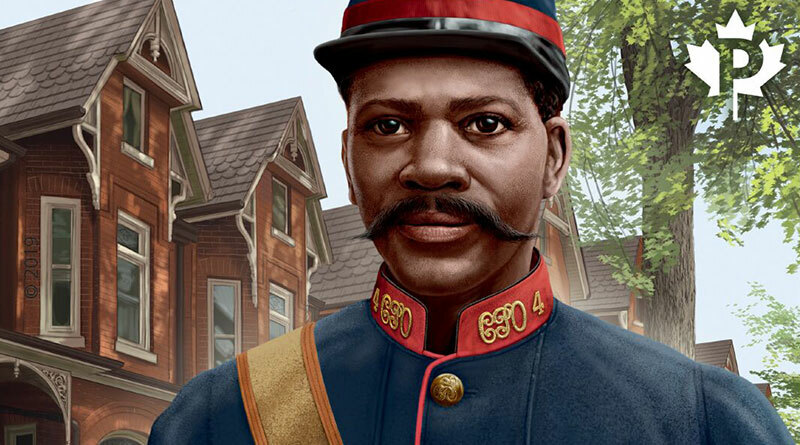 Jackson is thought to have been the first black letter carrier in Canada, having overcome racist opposition at the post service and from the public to earn the position. Last week Canada Post announced it is issuing a stamp honouring Jackson. Courtesy Canada PostSTAMP OF RECOGNITION: Illustration on stamp shows Jackson delivering mail with a smile and a spring in his step, illustrator says. This joins earlier tributes to Jackson, including having a laneway off Harbord Street named for him. A plaque was erected in his honour in 2017 on Lombard Street downtown near where Jackson picked up his mail for delivery from the Toronto General Post Office. Jackson had been born into slavery in Delaware during the late 1850s, but escaped with his mother and six siblings to Canada with the help of the Underground Railroad. He was educated in Toronto and was appointed a letter carrier in 1882, but white postal workers refused to train him to deliver mail, so he was assigned to being a hall porter instead. Toronto’s Black community organized support for Jackson and a heated debate took place in the press over his appointment. Prime Minister Sir John A. Macdonald joined the fray, advocating for Jackson and he began his training as a letter carrier. Jackson was on the job for 36 years until his death in 1918. The stamp is available from Canada Post in booklets of 10. It shows Jackson in the uniform he fought to wear. Illustrator Ron Dollekamp says in the post office’s Details magazine that recreating Jackson’s look was the biggest challenge. As he did in Harbord Village for four decades, creating history. GoogleANOTHER HONOUR: A laneway off Harboard Street is named after Albert Jackson.